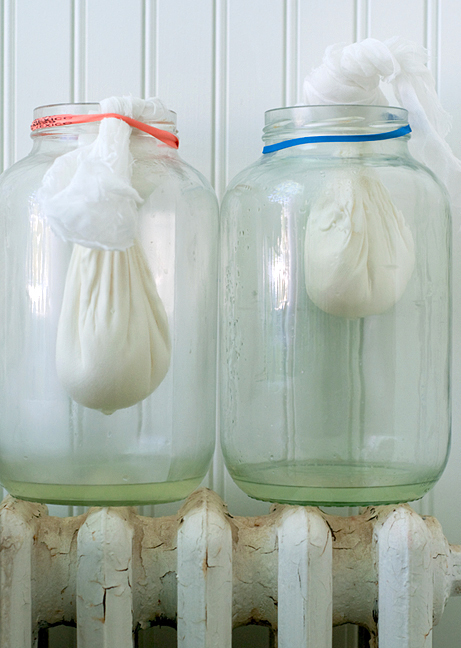 Making soft cheese in Maine in the winter is a bit challenging because it’s supposed to be over 70° when you’re letting the curds form and drain. On the day I made my holiday chèvre it was 11°. So I rigged up these little draining devices and put them on a radiator in the bathroom with the door closed. It worked quite well. The curds seemed to be the right consistency after about 8 hours. 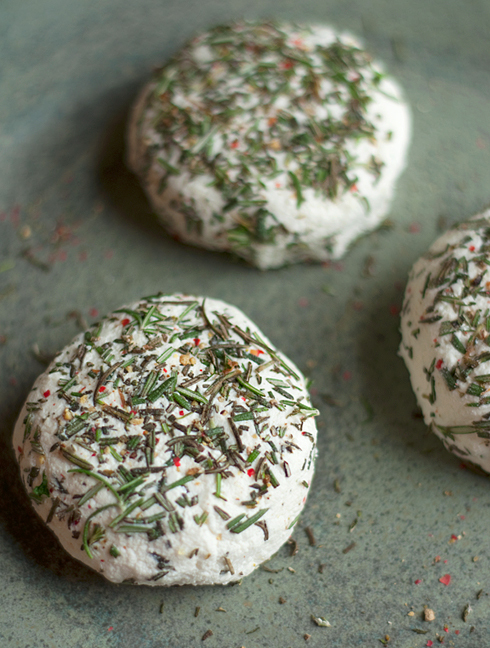 I extracted them from the cloth, mixed in some fine Maine sea salt, shaped the cheese into rounds and patted in festively colored fresh rosemary and cracked multi-colored pepper. Voilà, a perfect holiday gift! This entry was posted in food and tagged chevre, goat cheese, Maine cheese on December 30, 2009 by Stacey Cramp.